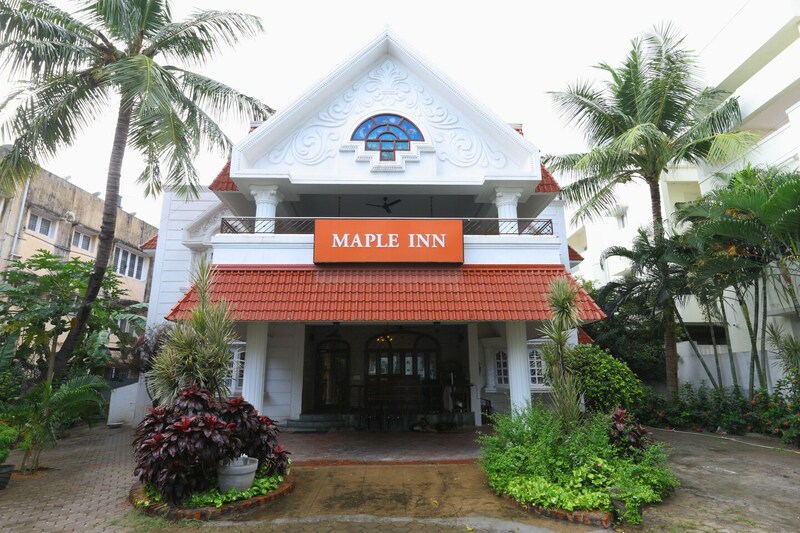 Beautifully decorated and well-furnished, Maple Inn is a majestic hotel which looks no less than a palace. The reception area is very regally decorated with lovely chandelier, artifacts and sofas. The rooms, like the rest of the hotel, are filled with splendid items and give vintage vibes. There are lovely chandeliers, lamps and paintings that give the rooms a royal look. Apart from this, they are also well-stocked with amenities like strikingly beautiful cabinets and cupboards and along with mini fridge to keep your food items fresh. The property also has parking facility, CCTV cameras and free Wi-Fi to make your time at the hotel enjoyable.